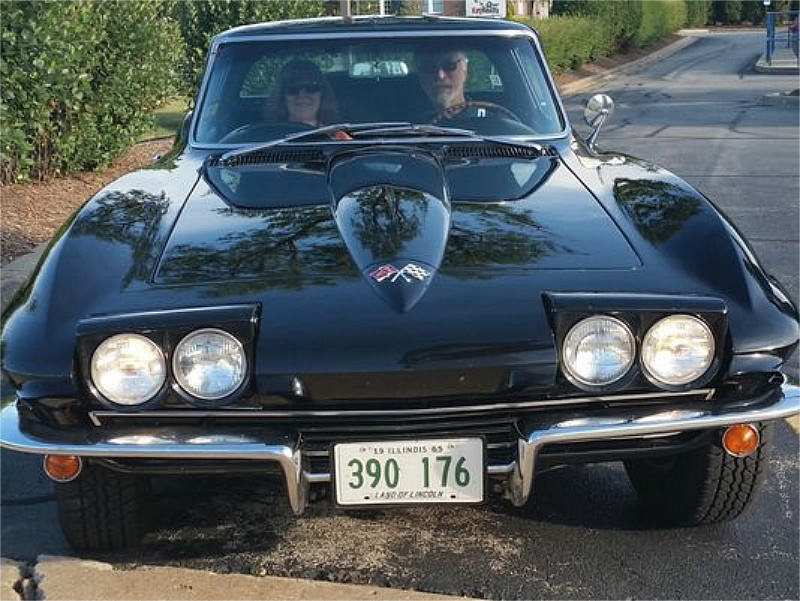 On June 22nd, Gary Pasch of Rockford, Illinois was attending the annual Bloomington Gold Corvette Show at the Indianapolis Motor Speedway when he discovered that his pride and joy, a Tuxedo Black 1965 Corvette was stolen. Pasch and his wife parked the black Corvette next to a friend’s 1966 blue Corvette on the west side parking lot of the Comfort Suites, 2750 Fortune W. Circle and retired to their room for the evening. When they woke that morning, the car was gone. Local police checked the video surveillance system at the hotel, but unfortunately, there were no cameras installed in that vicinity of the parking lot where the ’65 Corvette was parked. Poor video footage from a neighboring business was able to capture a flatbed trailer leaving the parking lot at about 4:15 a.m. The truck returned about 25 minutes later and was seen leaving again – empty. A few minutes after the truck left, the grainy video footage shows three cars driving out of the lot. Pasch believes his Corvette was one of them. Pasch has owned the 1965 Corvette for 47 years and purchased the car when he had just gotten married at the age of 22. Luckily, his wife was supportive of his love for Corvettes and the couple looked at three to four other Corvette before settling on their black one. Over the years, Pasch took care of all of the cars maintenance and repairs and he and his wife took the Corvette with them on vacations and car shows across the country. With only 1,191 Tuxedo Black 1965 Corvettes built, Pasch’s Corvette is the rarest Corvette built that year in that color. Hopefully, local law enforcement will be able to track down the thieves and Pasch’s Corvette soon and return it to him unharmed. If any of our readers have any information regarding this theft, Gary can be reached at 815-399-6015.